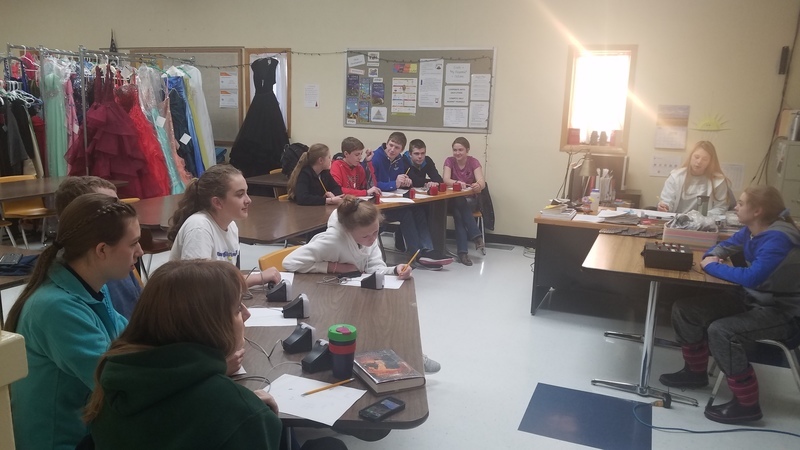 Fairfield's two Academic Challenge student teams have met throughout the year to practice for the Principals' Cup in Great Falls last Friday. Thirty-three teams from around the region competed in the fast-paced, buzz-in-to-answer event by answering questions from various academic disciplines as well as current events. 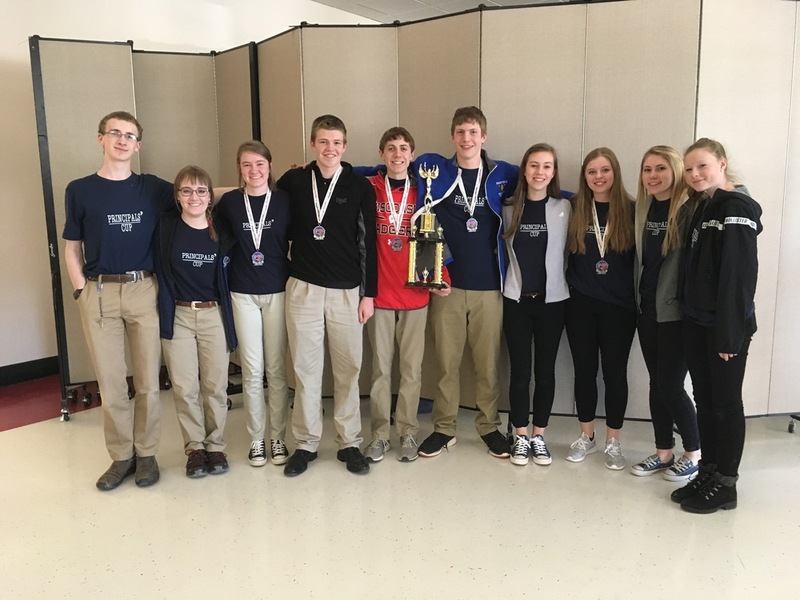 The team of Emily Evans, Emily Clotfelter, Josiah Pearson, Luke Ostberg, Rhett Donnelly and alternate, Madison Rosenbaum placed second at the tournament, qualifying Fairfield to attend the State Competition in Missoula in late April. The other team consisted of Berit Bedord, Adeline Hahn, Ashley Pearson, Justin Forseth, Emma Woods and alternate, Natalie Kolste. Fairfield's team took first place in the B-C Division and second place in the overall competition. Fairfield pushed eventual champion Great Falls CMR to a second round championship game in true double elimination format. It was a highly contested battle that saw momentum swings and many suspenseful moments. In addition to the excitement of the actual competition, students took an online test beforehand which ranked teams for the competition and provided scores for awards. Individual honors were awarded to Adeline Hahn for 10 highest score out of all competitors and 5th highest score out of all senior level students. Emily Evans placed 8th highest out of all seniors competing and Ashley Pearson placed 6th highest out of all juniors competing. Luke Ostberg placed 1st out of all sophomores competing and Justin Forseth placed 7th out of all sophomores competing. Rhett Donnelly tied for 2nd out of all freshmen competing.